According to management guru Peter Drucker, ‘the enterprise that does not innovate inevitably ages and declines’. 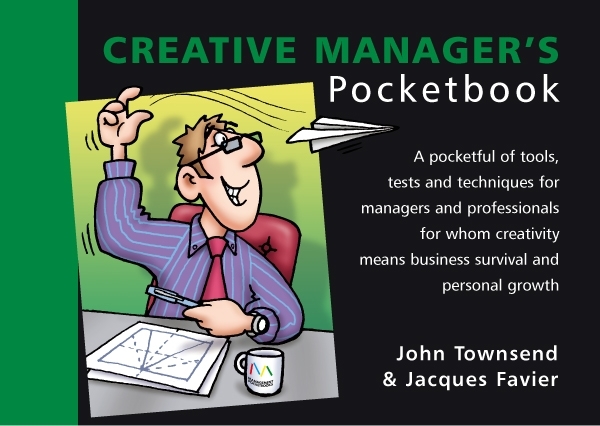 The Creative Manager’s Pocketbook is a treasure-trove of techniques, tools and triggers that will help you produce creative ideas. There are 10 ready-to-use techniques with such intriguing names as Nyaka, Merlin, Eureka and Brainfaxing. In each case the author explains what the technique is, in what way it can be used, how to apply it and what materials will be required. Elsewhere the book looks at the different areas (e.g. product development, customer service, efficiency) that can benefit from innovation and how to ‘sell’ new and creative ideas. The numerous exercises, tests and quizzes will keep you involved and help you discover just how creative you are.